What do the components of the taxable income in the Schedule D Tax Worksheet mean? then taxing on them at different tax rates of regular tax rate, 0, 0.15, 0.20, 0.25, and 0.28. The resulted taxes are in lines 42, 21, 29, 32, 38 and 41. I wonder what the amounts in lines 19, 20, 28, 31, 37 and 40 mean? find out which parts have relative high tax rates, and which have low tax rates. Do you agree that the worksheet was written like a computer program with little readability, e.g. no suggestive names for most lines? What are some ways for us to understand the worksheet? This worksheet is actually one of the most difficult parts of the tax code to understand. 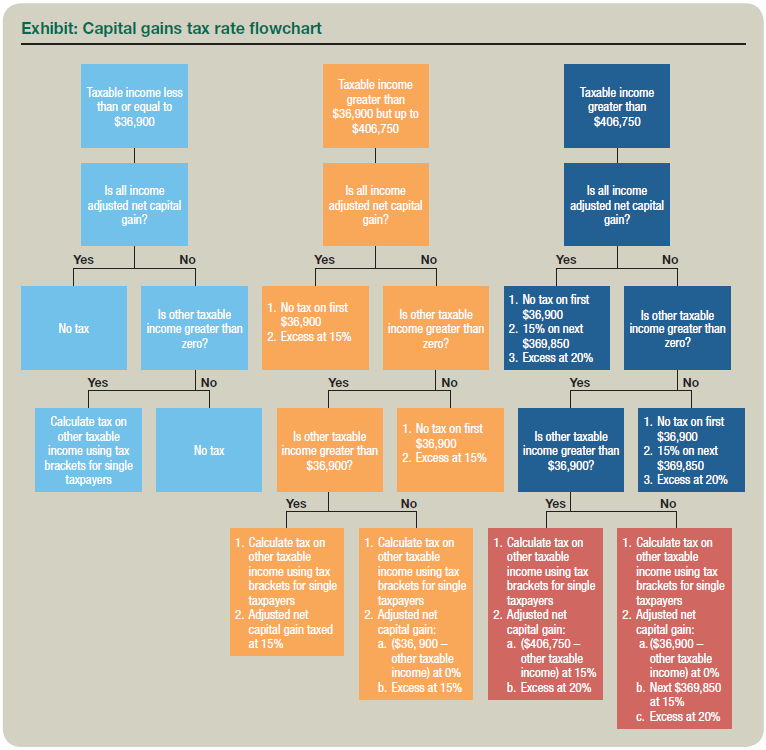 Second, in addition to the regular capital gains rates, the schedule D tax worksheet adds 2 extra tax rates. The 25% rate is for depreciation recapture (or unrecapture might be more accurate), and the 28% tax rate is for collectibles (coins, art, appreciable objects). Hope this helps shed some light. If you wanted to make a flowchart (a la the above link) I would definitely appreciate you for it! Not the answer you're looking for? Browse other questions tagged united-states taxes investing capital-gains-tax form-1040 or ask your own question. What do the components in Qualified Dividends and Capital Gain Tax Worksheet in instructions of Form 1040 mean? How are various types of income taxed differently in the USA? How are withdrawals from traditional IRA taxed? Does non-taxable income apply before or after (not at all) taxable income for purposes of tax brackets? Overpay state income tax this year to offset federal taxable income to the next year? Is state/federal taxable income affected by federal/state tax?